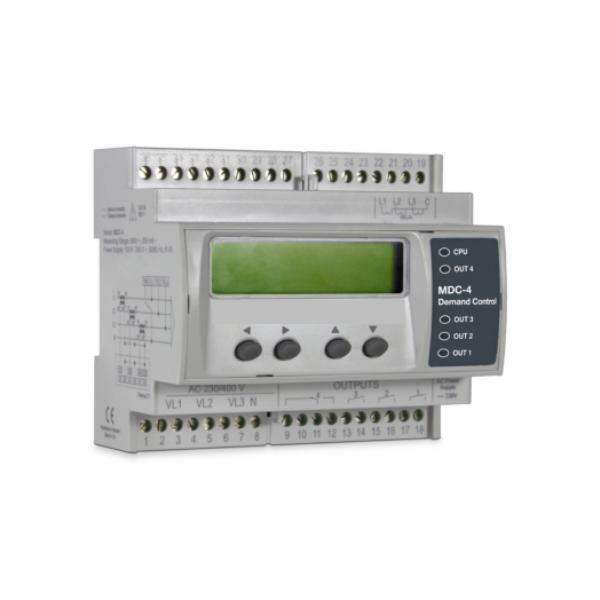 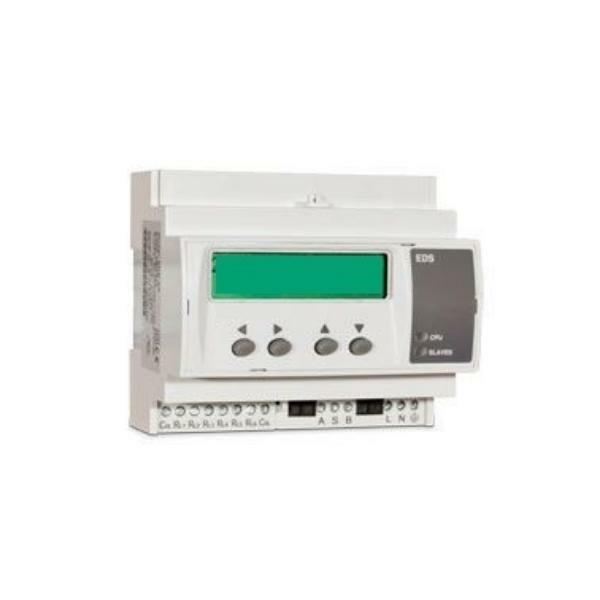 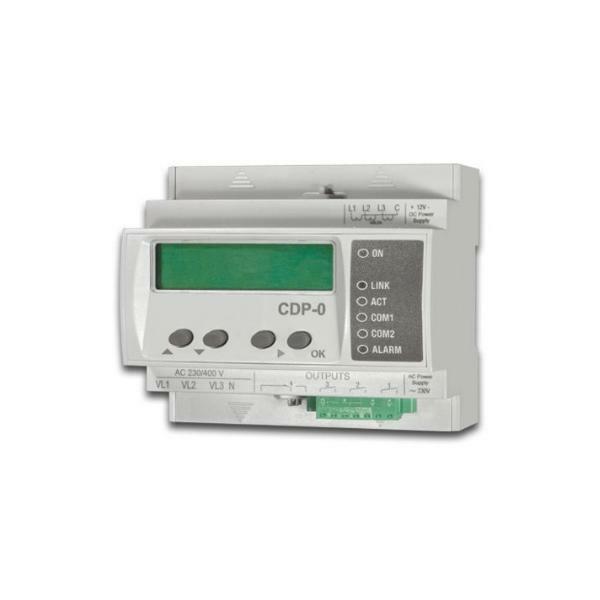 CDP-G is a dynamic power controller which modifies the MPPT (Maximum Power PointTracker) of the inverters in order to regulate the PV generation according the energy consumption of the user and besides, it allows using the excesses of PV production. 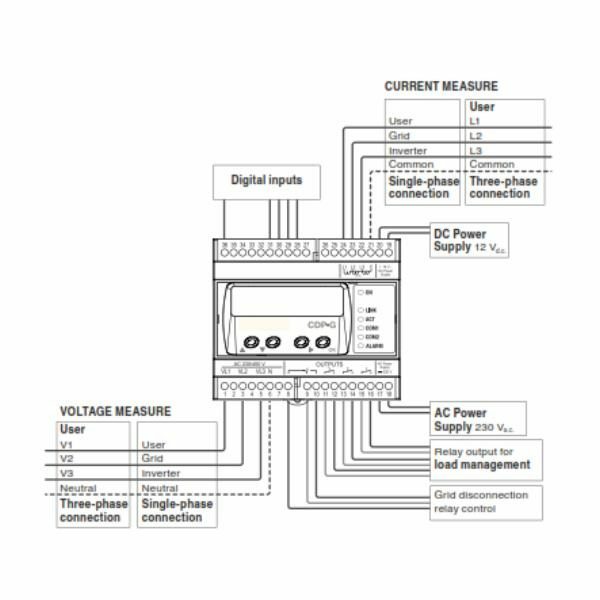 CDP product range regulates the PV production according to the power consumption in any self-consumption PV system to control the power that you are feeding into the grid. 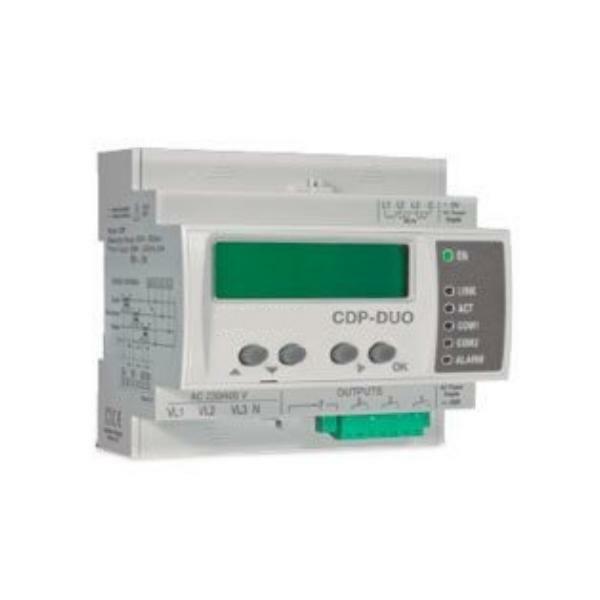 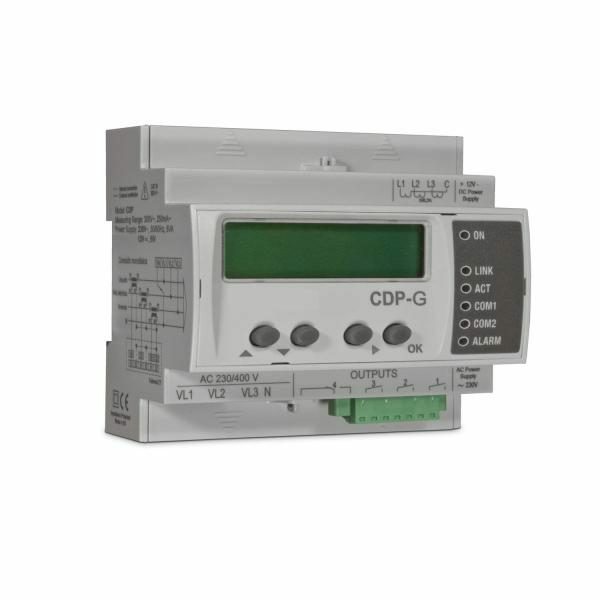 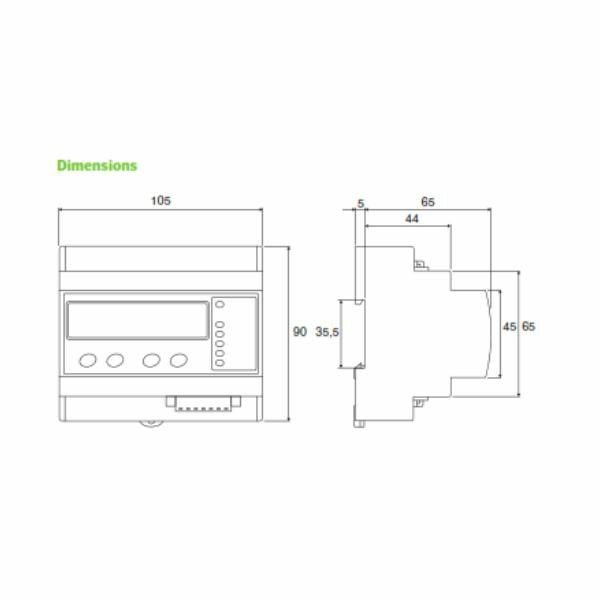 CDP-G incorporates all the features of the CDP-0 and moreover it has 3 relay outputs to connect loads and to use the excess of PV production. By connecting non-critical loads during sunny hours in the day it allows to have a lower level of grid dependence and a reduction of energy costs. By programming a value of power consumption and a priority level to each output, CDP-G is able to calculate and to connect automatically each load in the right moment depending on the excess of PV production. 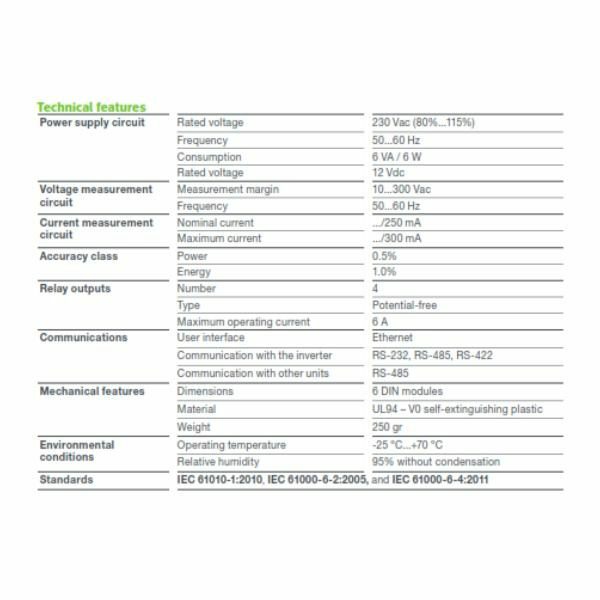 Moreover, CDP-G allows to assign a percentage of grid contribution to these loads in order improve the performance of the PV system. 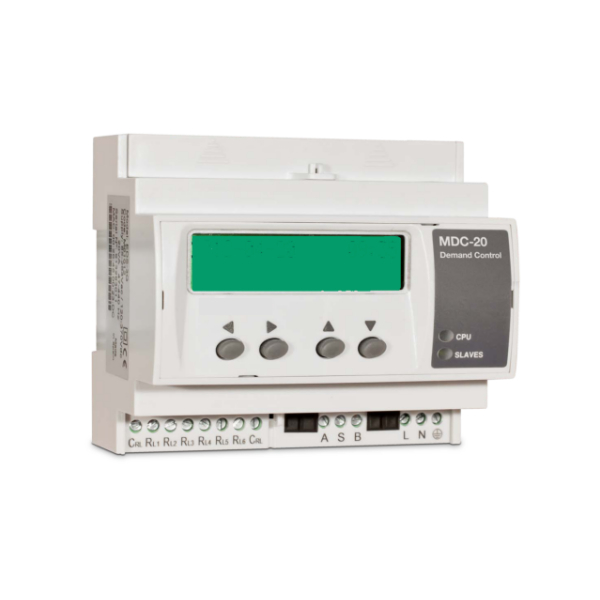 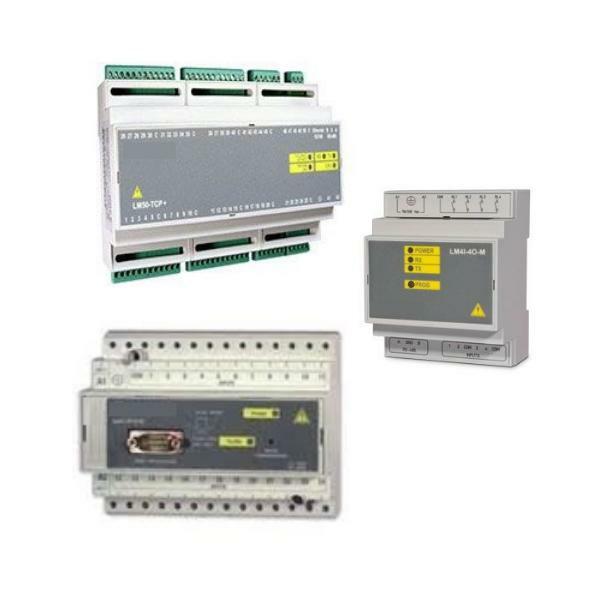 MODBUS/TCP communications to allow SCADA integrations.